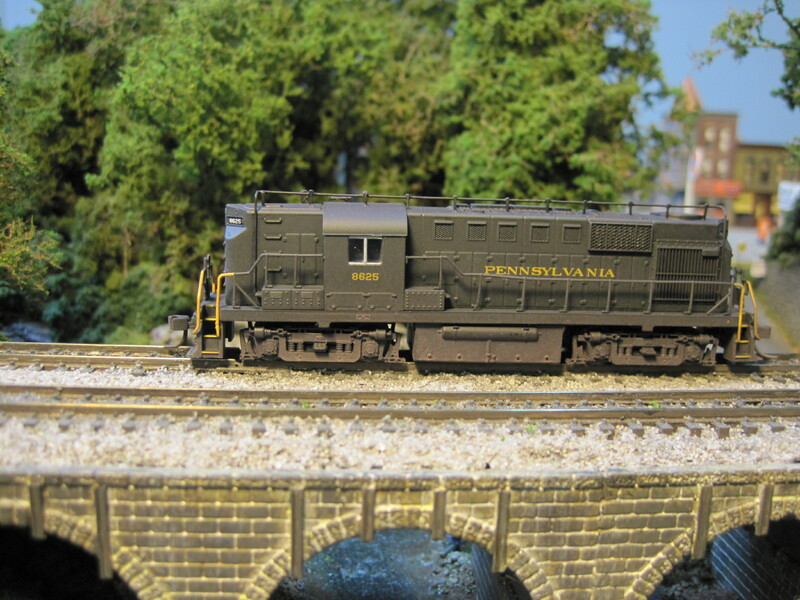 Precision Scale Co. brass PRR K4s, factory paint, TCS DCC. 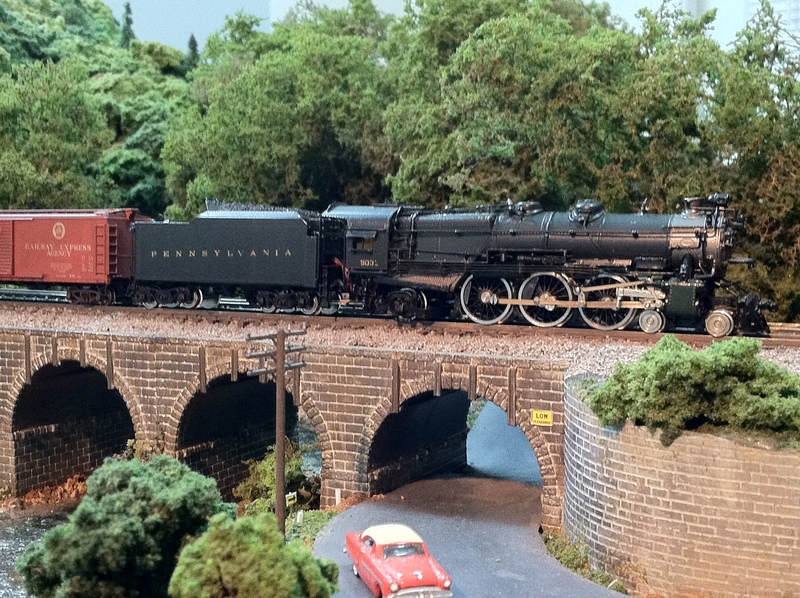 Kitbashed class M1 4-8-2, Bachmann chassis w/ Digitrax DCC. Boiler was spliced from 2 Minitrix K4s, and tender from 2 Minitrix K4 tenders. 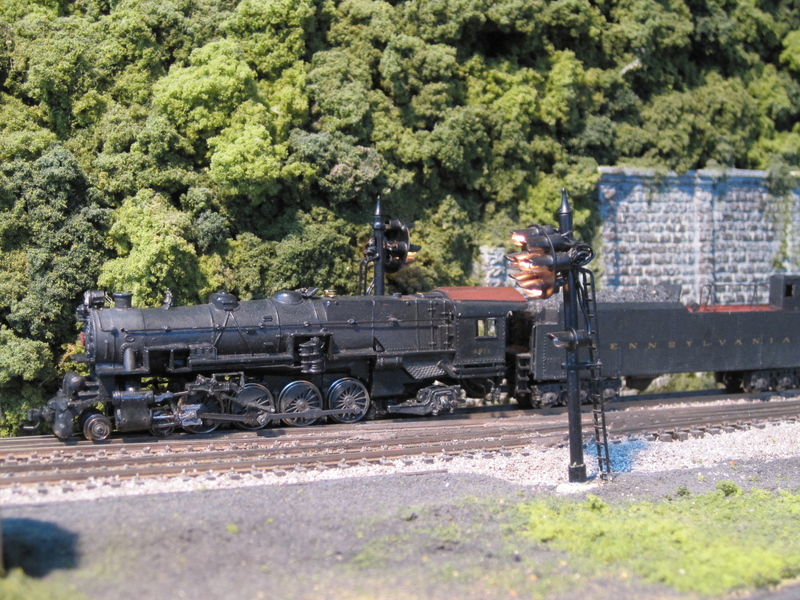 Walthers/P2K class HH1 2-8-8-2, DCC and sound, PRR #374. 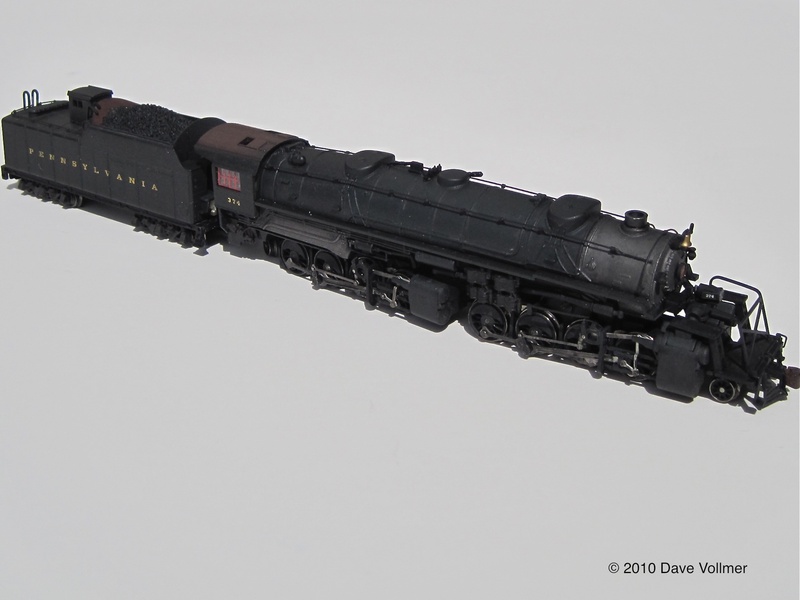 Kitbashed Kato USRA 2-8-2 w/ GHQ conversion kit DC - PRR Class L1s #762. 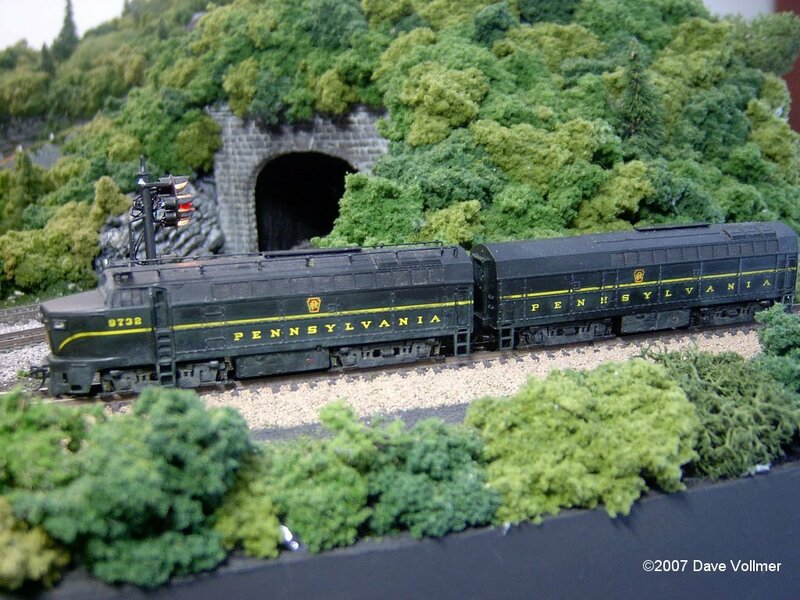 ER Models BLW Sharknose A/B w/ Digitrax DCC and Gold Medal Models Trainphone antenna - PRR Class BP-16 #9732A/B. 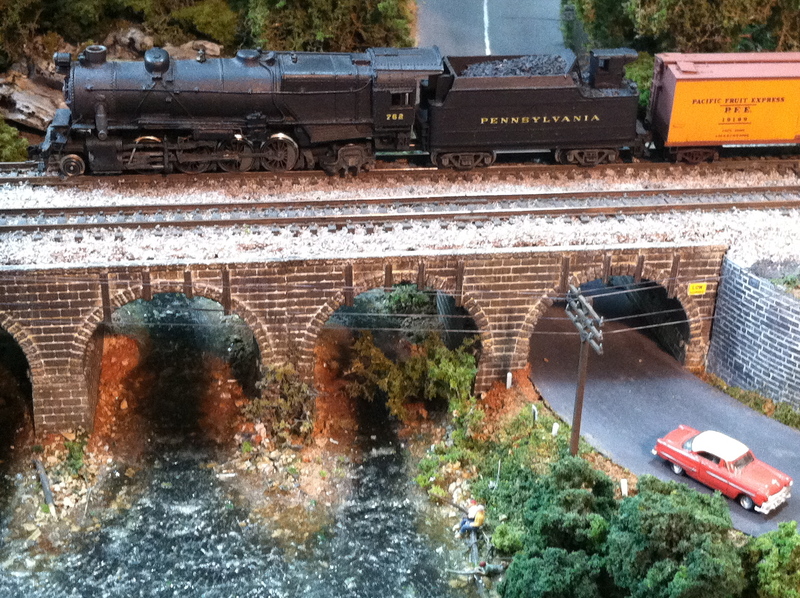 Atlas RS11 with Gold Medal Models PRR Trainphone antenna and TCS DCC.